This stylish banana tree holder helps bananas last longer with less bruising. Made of chrome plated steel profile wire. 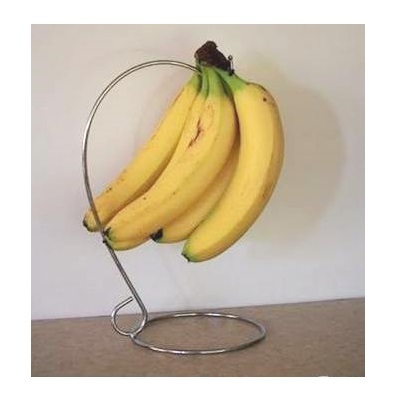 This elegant banana tree holder will look great in your kitchen. You can also use it for grapes. The Kiwi Banana Tree Holder suspends your bananas keeping them from bruising. SKU: BTREE. Categories: Banana Tree holders, Gift Ideas, Gifts, Gifts for Her, Gifts for Under $100, Gifts for Under $30, Gifts for Under $50, House & Homeware, Kitchen & Tableware, Wedding Gifts. Height and base is 28cm x 15cm. 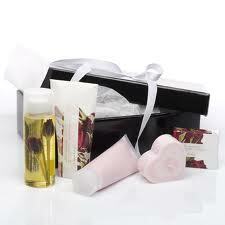 Ideal gift for mother, sister, house warming, wedding present or Christmas gift. Did you know you can make bananas last longer in your fruit bowl simply by allowing air to circulate freely around them and by preventing them from pressing up against any surface like your kitchen counter top? It’s true, and it is the reason why a banana hanger or banana tree holder is such a popular kitchen accessory. Bananas will turn brown and mushy ripening faster when they are pressed together or leaning on a surface but you can extend their life by suspending them in the air just like when the bunch was hanging from the banana tree. It is simple and sounds unlikely but it’s true and it works. A banana hanger suspends your favorite yellow fruit above your kitchen countertop or work surface to prevent premature browning, bruising and blackening of the skin and fruit inside. This banana tree holder is shaped and designed to do just that and nothing more than to simply hang a bunch of yellow bananas in the air just like when they were dangling from the banana tree. This simple action can keep bananas fresh for longer with less fruit wastage so ultimately save you money in the long run. Be the first to review “Banana Tree Holder” Click here to cancel reply. Shop with us when it is convenient for you, our online shop is always open. We are open 24 hours of the day, 7 days a week. Gift Shop New Zealand © 2013. All Rights Reserved.